The New Jersey Devils will complete a perfect three-game homestand when the St. Louis Blues pay a visit to the Prudential Center on Tuesday. The contest will serve as the opener of a home-and-home series with St. Louis, which hosts New Jersey on Thursday. 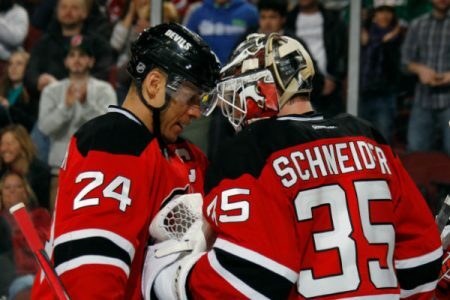 Cory Schneider is a much better goalie than Jake Allen. New Jersey’s special teams reside at both ends of the spectrum as its power play has clicked at an impressive 26.3-percent rate while its penalty kill sits at a disastrous 68.8-percent efficiency. St. Louis has yielded nine power-play goals in its last eight contests. This is what is going to give the Devils a huge advantage as they will capitalize on the power play! Blues are also very tired from last nights overtime victory over the Rangers. PERFECT 2-0 SWEEP LAST NIGHT AND TONIGHT WILL BE THE SAME. WAITING ON GOALIE CONFIRMATION BEFORE I SET THE PACKAGE UP. 6 PM ET PACKAGE WILL BE AVAILABLE FOR 2 FOR TUESDAY AT A LOW $20!